Kyrgyzstan is not a country that many people will immediately identify as a prime destination for a holiday. In fact the country isn’t a major hub for tourism of any kind. However, anyone who does take a chance on the isolated mountainous region, will be rewarded with an indistinguishable and wholly unique trip. The breath-taking scenery of the country is undoubtedly its main draw for travellers. The high peaks, glaciers and high altitude lakes make up a landscape that is like no other on Earth. Outside the capital city, the Eastern region of the country possesses the biggest draw for tourists. The massive lake Issyk Kul and its shores provide beautiful scenery. 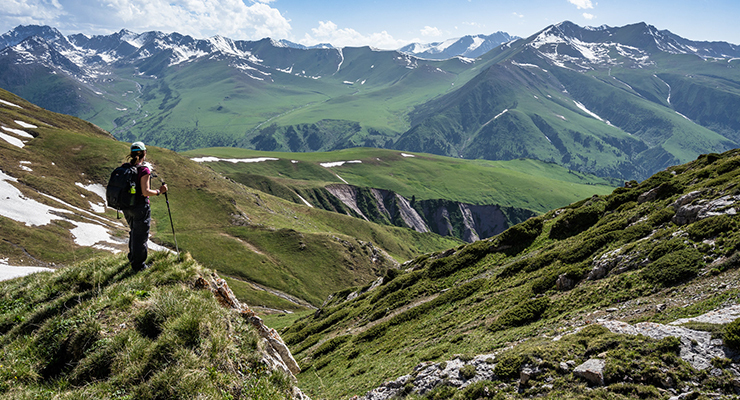 While at its back stands the Tien Shan Mountains supplying high peaks and breath-taking hiking trails. A number of smaller towns and settlements are dotted across the Eastern region of the country, some since the days of the ancient Silk Road! You can even go fully authentic and stay in a Yurt supplied by the locals. Getting to Kyrgyzstan is not an easy task. You won’t find anything even close to a direct flight from Ireland and the best bets would probably be to get connecting flights to either Moscow or New Delhi. You can however get to Bishkek via Brussels or London as well but you will most likely need to make a connection in that instance as well. Overall return flights will cost you between €500-€850 during Summer months and take at a minimum 10-11 hours. If you are on a budget for either time or money then perhaps flights to Kyrgyzstan may be out of your reach at the minute! Accessing the East of the country is best done by train with low cost fares and quick journeys (You won’t find a lot of large enough places to stop!). Accommodation however is fairly cheap. You can stay in mega cheap hostels from as little as €10 per night and even a decent hotel in Bishkek and beyond will be relatively cheap. Why not get a Yurt from the locals and have a true authentic experience! While it may be seen as a bit of a hassle getting to Kyrgyzstan, the countries unique mix of Asian and former Soviet influence makes it a captivating place. 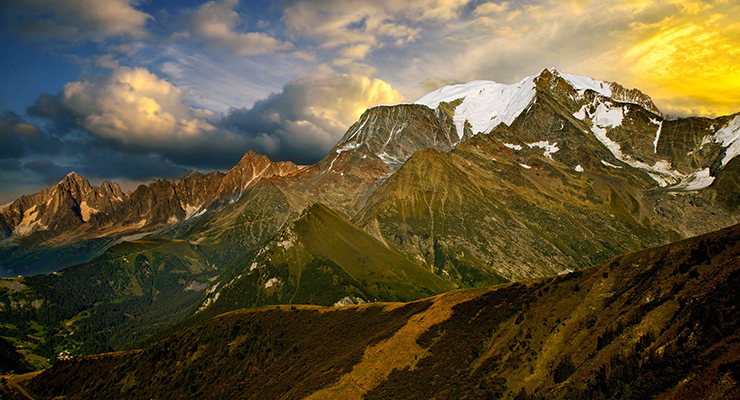 The scenery of the mountainous nation cannot be done justice with words alone. It truly has to be seen to be believed. Interested in more of our ‘Off The Beaten Track’ destinations? Why not have a look at the rest of the series: Jujuy Province in Argentina, Slovenia, Olomouc in the Czech Republic, Cameroon, Urumqi, China.